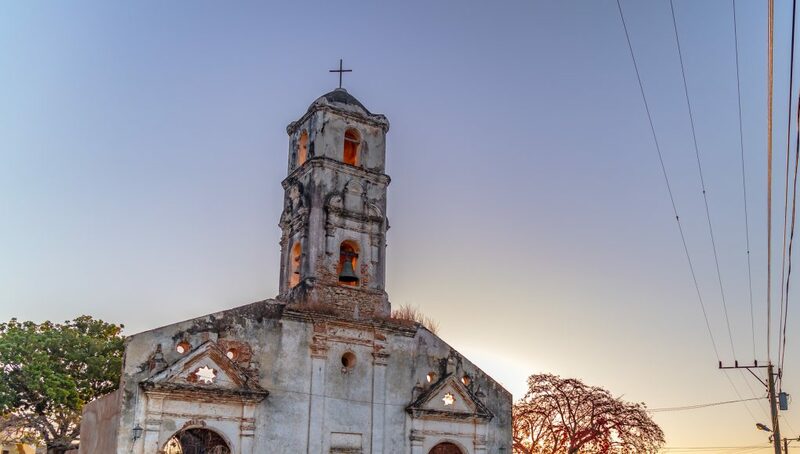 People starting their day as the rising sun lights up the ruined Iglesia Santa Ana in Trinidad, Cuba. Trinidad was one of the first cities established in the Caribbean by the Spanish. In 1514 — only 22 years after Columbus first landed on nearby Hispaniola — Diego Velázquez de Cuéllar founded Trinidad on Cuba’s southern shore. Trinidad’s layout, its narrow streets, its churches, and its houses reflect that age and the influence of the colonial Spanish. In 1988, UNESCO included it on the World Heritage list. A blue door against a very yellow wall in Trinidad, Cuba. Finding a parking spot for your horse cart on Calle Amargura wasn’t a problem on this morning in Trinidad, Cuba. A street singer across from Plaza Mayor in Trinidad, Cuba. People in cars, on bikes and bicis, and on foot, going about their business on Calle Frank Pais in Trinidad, Cuba. A mural based on a famous photo of Fidel Castro and his brother Raoul and other rebels being released from prison during the Batista Regime, on a wall in Trinidad, Cuba. The Church of the Holy Trinity (La Iglesia Parroquial de la Santisima Trinidad) in Trinidad, Cuba. When you head out for a little shopping in Trinidad, Cuba, you might go by horse cart. Calle Rosario can get busy on a sunny afternoon in Trinidad, Cuba as people make their ways up and down the hill to Plaza Mayor. 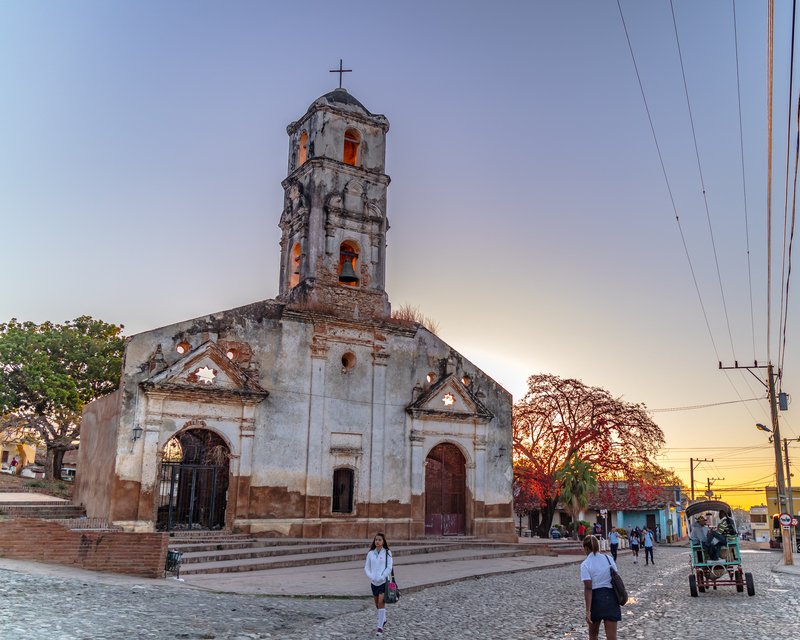 The view up Calle San Procopio toward the Iglesia Santa Ana in Trinidad, Cuba. The Cuban flag on a window shade behind wooden slats on Calle Alameda, in Tridinad, Cuba. Trinidad, Cuba, is a UNESCO World Heritage site and the bollards blocking this Calle Real del Jigüe have the UNESCO logo. Delivering water from a horse cart on Calle Media Luna in Trinidad, Cuba.